"Got to Be Real" - Owen introduce Callie a los pacientes del Hospital de Veteranos, con la esperanza de que ella va a ayudarles con su laboratorio robótico parte, Jo se pone celoso de la amistad Alex y Meredith, y Maggie sigue a confiar en Richard. Mientras tanto, Alex y Bailey se preparan para ir delante de la pizarra. Anatomía de Grey se transmite Jueves, octubre 9. 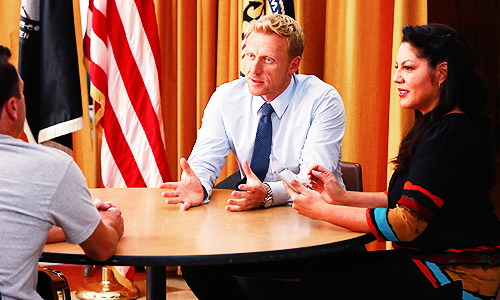 “Got to Be Real” – Owen introduces Callie to the Veterans Hospital patients in hopes that she will help them with her robotic limb lab, Jo becomes jealous of Alex and Meredith’s friendship, and Maggie continues to confide in Richard. 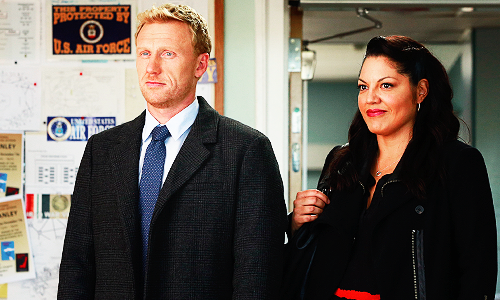 Meanwhile, Alex and Bailey prepare to go in front of the board.Grey’s Anatomy airs THURSDAY, OCT. 9.